Do you really know the numbers behind your SaaS business? No, I’m not talking about monthly P&L statements. I’m talking about business metrics like customer lifetime value, churn and monthly recurring revenue. You don’t have to hire an analyst to crunch the numbers. Just use Baremetrics. Hat tip to Ryan Robinson (see his interview about growing Close.io with content marketing) for introducing me to Baremetrics. Josh Pigford, founder of BareMetrics, shared his insights about growing the company, content marketing and more. 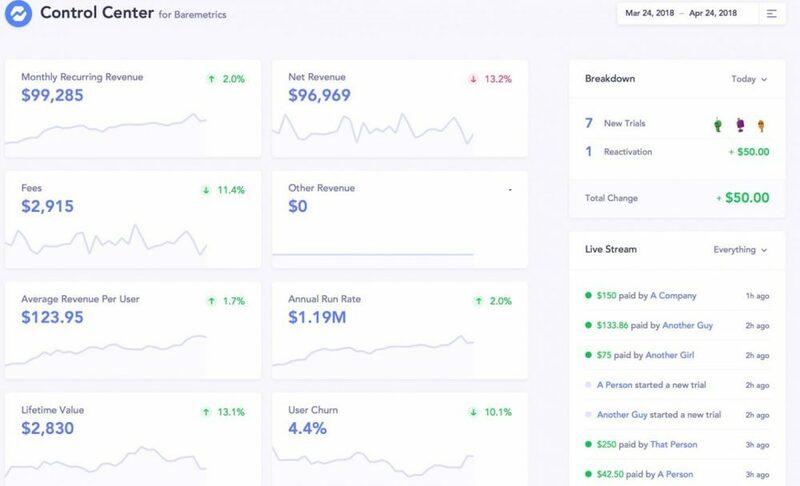 What is Baremetrics and how does it help customers? Baremetrics is a revenue analytics product. We help businesses get insights on the money that’s coming in. For subscription-based companies, we would track metrics like monthly recurring revenue, lifetime value of a customer, churn rates, and other data points. The metrics themselves are not necessarily new to the industry, but they are traditionally really hard to calculate on your own. Without a tool like this, you would need to do lots of spreadsheet calculations or build internal tools. Baremetrics completely replaces all that. You can get up and running a few minutes. What do you find most challenging in marketing Baremetrics? When it comes to content, you can make some guesses about things, or even have some high-level data points. Knowing for sure is a different story. Connecting the dots between a prospect reading article A and becoming a customer is difficult to track. What is your thought process around content marketing for Baremetrics? In a recent blog post, you mentioned that past efforts at content marketing at other companies did not generate results. It sounds like you are taking a different approach today. In the early days of content marketing days, say five years ago, SEO considerations were at the top of the agenda. The approach was let’s produce much content to rank for a specific keyword. Recently, my approach to content marketing has shifted to focus on how we create the content, in and of itself, really valuable. Search engine optimization can be a part of that, but first and foremost, you need to be writing for humans. When I started Baremetrics, I tried the SEO focused content marketing. That approach did not work well for us. Going forward, I wanted to produce content that was genuinely helpful for other businesses. If there was an SEO impact, fantastic. If not, I am sort of indifferent about that. Ultimately, I wanted something that people could read and get much use out of. What makes a piece of content “genuinely helpful” in your view? The article about our Medium experience (Why we transitioned from Medium back to our blog) was more on the how-to or actionable side. It had some practical points on how you can use medium based on our experience using the website. In other posts, it is more a case of sharing the struggles of running a business such as burnout (e.g., The Impossibility of Separating Work & Life). If you are thinking about one of these articles later that day or a few days later, that is a sign of a successful article. How do you organize and publish your content assets? We have two different silos of our content. First, we have got the main blog with articles aimed aim founders, business owners, and people who are work at startups can get much use out of. Second, there’s the academy which has more a SEO focus. There’s content related to keywords like monthly recurring revenue such as glossary article on monthly recurring revenue. The Academy is about answering questions people are searching for on Google. For the Founders blog, I produce nine out of ten articles. For the academy, most of our production is outsourced to freelancers. In many cases, academy content references and repurposes articles I have written. Are you using paid customer acquisition methods? We have tested these methods, but nothing has made sense from a scaling perspective. What would you say has been your most successful marketing channel so far? The content we produce is by far the most successful channel. Your content includes publishing revenue figures (e.g., open benchmarks). How did that come about? After we had made our metrics public, other companies contacted us and asked to be listed. What does your free trial to paid customer process look like? You start by signing up for a 14-day trial. During the trial, it is a self-serve process with automated emails that guide you through onboarding and getting value from the product quickly. At the end of the 14 days, you either upgrade to a paid account or stop using the product. What kind of touch points do you have with prospects and customers during this process? I try to hop on a call with most new trials, or someone on our customer success team will try to hop on a call. At the very least, we reach out via email. So, it is not high touch, but it is not any touch, either. Sometimes this will involve doing a video chat, a screen share and walking them through their dashboard. Why do have a 14-day free trial? You can do 30 days instead, but our view is that we want you to start paying soon after you start getting some business value out of it. Contrast our product to other software where you start with a blank slate – Google Apps, or Dropbox, or Slack for example. All of these tools require you to start using them, slowly getting data put in, and then you begin to see the value. With Baremetrics, depending on how much data you have with your payment processor, you can start to see value in minutes or a few hours. That is how long it takes to see a whole dashboard full of data. So, the time between when you sign up and when you start getting value is extremely short compared to most SaaS products. The 14 day period gives us a little bit more time to help you see the benefits, or to show you all that’s there. It is not just the single page that shows you some numbers that there’s a lot more depth to it. What conversion rates do you see from free to paid? Currently, we are around 14% from free to pay. If you sign up, but it turns out you do not use a data source that we support, you will probably not convert to paid. Our conversion rate of people who have a data source that we support would be a lot higher, but it is difficult to track and report that separately. We support payment processors like Stripe, Braintree, and Recurly. Is there a demand for people to use something like a QuickBooks or an accounting app as a data source? There are certainly people who have asked for it. The problem is, we need a particular type of data, or format of data, to provide our metrics and subscription numbers. The problem with QuickBooks or Xero is the nature of the data. It is flat data. We could certainly see, “Oh, in this category you brought in $10,000,” but we would not be able to get any insight into that. It would require us to reformat your accounting books to process it. We are trying hard not to be accounting app. Our goal is not to give you accounting insights but rather higher level business metrics instead. What business metrics have the greatest predictive value for your customers? It depends on the stage of the business. One of the more consistent indicators would be churn (see “How Churn Prediction Can Improve Your Business” on Baremetrics.com). Put it another way: at what pace are people canceling? That is a good indicator of the health of the business. It is one of the more actionable metrics. If it is in the double digits or over 20%, you have a big problem on your hands. In that case, you should focus on nothing else except fixing that and figuring out why customers are canceled in such large numbers. What is a marketing experiment from the past year that you are proud of? Our sort transparency journey has been the gift that keeps on giving. It has been almost four years, but at the same time, it consistently keeps working for us, and new opportunities come from that. We continue to see other people reference Baremetrics regarding transparency for our numbers and how that helps other businesses. What kind of new opportunities has that brought to Baremetrics recently? A new company will want to make their data public on our website. When that happens, we tend to see a new influx of customers or at least visitors to the site. At Baremetrics, who is responsible for marketing activities? I am responsible for marketing. To do that, I have support from freelancers in content creation, administrative support, and engineers helping with data to inform the content. For readers that would like to connect with you and find out more about Baremetrics, where should they go? Start with baremetrics.com. If you want to reach out or have any questions about anything, email me at josh AT baremetrics.com or on Twitter. Building an email list is a critical marketing asset. How can you translate email marketing into low stress added revenue? Once you have your offer and copy dialed in, the next step is email marketing automation! The problem with marketing automation? It is too difficult to implement for most of us. 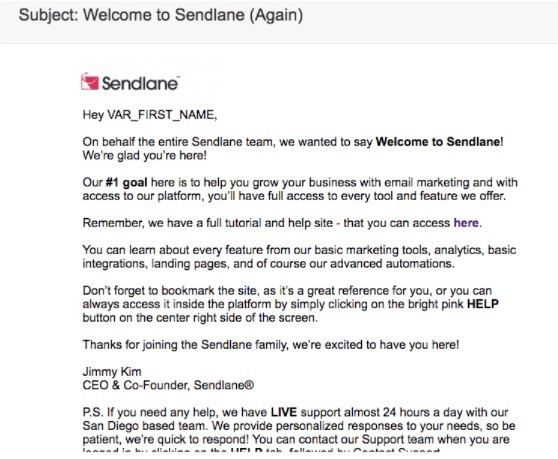 Sendlane is here to help you achieve results-driven email marketing. When I heard about Sendlane’s success on Nathan Latka’s podcast, I simply had to feature them in the interview series. Jimmy Kim, the CEO of Sendlane, sat down with me to share a few insights on how he built the business. Who is a good customer for Sendlane and how does the product help them? Sendlane was built for digital marketers, specifically info product owners, affiliate marketers, SaaS owners, and eCommerce owners. We are more than your basic email automation tool. We are an advanced email automation tool focusing on features designed to help track and sell with email marketing and automation. How do landing pages and personalization features fit into the product? To stay competitive, I see these features as essential. We do not say that we are the best in landing pages, but we provide you with a solution that you can use. We focus on behavior-based automation, or email automation, or personalization automation. You can customize and tailor every experience for every customer or subscriber that you get on your email list. How do you provide this personalization for email marketing? You can personalize your messages based on the user’s actions, whatever that may be. For example: if the user opened a specific email or clicked a link in an email. Further, you can look at higher level automation such as how much they have spent with you, if they have visited a certain page, if they are from a particular country, the device they use, time of use and so forth. Anything that you can think of, we allow you to segment your emails based on that. Furthermore, you can create custom fields and such so that you can collect information in addition to name and email. You can obtain other information like phone number and segment based on that. Would this email marketing personalization help a SaaS company convert a free trial user to a paid user? We use Sendlane to market our service. We do multiple touch points on follow-ups, depending on their actions (e.g., did the user click “add to cart,” did they stop during the sign-up process). The personalization varies depending on their activity. Other SaaS companies can use a similar approach to marketing based on the user’s actions. This process continues when the user makes a purchase – they will get put into a different sequence. We are proud that we have built a profile-centric platform, not a subscriber-centric one. With Sendlane, you do not are on multiple lists; the user profile has various tags. You can then do customization based on the tags. What are some of the important marketing channels you use at Sendlane? Initially, we focused on influencer marketing, finding great users to find, and then asking for referrals. Furthermore, we did some integrations and content marketing. We have started to get into paid marketing. We make sure that we are sharing great content out there so that we can advertise it via Facebook, and Google, and YouTube, and other places to stay visible. Are there particular integrations that stand out regarding helping with growth? It is difficult to track if new customers come from integrations. For example, ClickFunnels integrates with us, via our API, so, unfortunately, we cannot see who is using that connection. On the other hand, Shopify uses a native connection so that we can see the users. I am not sure if they drove the customers, or we drove the customers. That is the only part we cannot see. As a SaaS company, integrations support our brand and puts us next to other leading companies. Considering we are in such a crowded space in what we do, we knew that it was critical to get your name in front of our name next to the other companies. Putting our name next to MailChimp, a leader in the email marketing space, helps possible customers to know that we exist and that we are an option. What does your paid traffic marketing look like? We spend the majority of our time in Google and AdRoll right now, and we spend a lot less time on Facebook. We look at two paid media methods. With Facebook ads, it is a more disruptive marketing approach – you are showing up when the user is doing something else. With Google, you have users who are actively searching for information. We find that Google AdWords is providing better results than Facebook. There are significant costs regarding cost per click, but the result is always dramatically better for us. We have been testing this process for the last six months, and we continue to see this result over, and over again. What does the funnel look like after they click? We have been testing multiple approaches. We do have a free white paper available, and we have been testing that as well. It seems that the white paper does a decent job. The best top-of-the-funnel action is driving the user to our homepage which is optimized for conversions. How does the Sendlane blog contribute to your marketing? Is the objective to get email signups, demos? The primary purpose of the blog is to support our branding. You need to expose prospects to the brand multiple times through different channels. Some blog posts are written in-house, and we also hire third parties as well. We are always looking for people who have written in the technology space who have some level of clout. At the same time, we try not to credit too many outside writers as well. Ideally, we are interested in ghostwriters that have written for major publications. How do you approach segmentation in your marketing? We are looking for someone who makes a purchase or looking at someone who may have come to a site, added to cart, but then stopped. Therefore, we know we need to do follow-up and make sure they are in the right automation flow. Whether you are in eCommerce, SaaS, information products, marketing to someone who has got to the checkout process is robust. That is why segmentation based on cart or checkout behaviors is powerful. How does the affiliate program contribute to your marketing? We offer a 30% commission for the life of the customer to our affiliates. Affiliates make up less than 5% of our monthly revenue. We built this affiliate platform just to have it, but we do not rely on it at any level. I think that it is good to have it as a way to help your current users spread their message and spread their word and get paid to do so. At the same time, I believe that building a business, or a SaaS on affiliate traffic is not the best way to make a long-term profitable company. Do you use offline marketing methods? We were recently at Traffic & Conversion event, and we have a couple more coming up this year. When you have face-time with customers and potential customers, it helps our marketing research. When you attend these events, it is important to ask people about what they want and what they are looking for. You would be surprised at the different answers. You should build your SaaS based on what the market wants not what you think would be a good feature. What does influencer marketing look like for Sendlane? When I say, “influencer marketing,” it is different from the traditional definition. Influencer marketing is focused on finding a person with a big audience, and you are asking them to promote your product. In our case, we focus on finding people with a following in our market. Instead of asking them to directly promote the product, we invite them with an offer like: “Come try us out. We will give you a special deal because you are an influencer and you are doing great work.” Furthermore, we encourage happy influencers to share the message that they are happy with our platform. For example, we had a charity that was a great customer. They loved our customer service and told their other friends in charities. We try to encourage that activity. For our influencer marketing, we are focused on people using the platform, not celebrities promoting the product for a payday. Instead, we like to reach out to our top users and our power users. We ask them for referrals and encourage them to spread the word. What marketing metrics and indicators are important for Sendlane to engage free trial users? Engagement with the platform is important. I look at how many times they have logged in and how often they are logging in. Every day during the free trial, we connect with them. It might be sharing a story or providing advice and we make sure to tell them when they are about to be billed. The traditional marketing advice would say that you should not remind me that you are about to charge them for the first time when the free trial is about to end. In our case, we reach out three days before, two days before, the day before and the day they are charged. In fact, we make it a celebration, an event that people are joining and finally signing up for a paid account. What conversion rate do you see from free trial to paid users? Our free trial to paid customer conversion is 65%. So we have a very high conversion rate in the industry. We are currently working on our onboarding system to make it an even better user experience. When did the company’s first marketing hire come in and why? In December 2015, we hired our first marketing person. Our decision came about because we were overloaded. We wanted to devote more time and attention to our content marketing and social media strategy. It was essential to bring in an expert who could maximize our marketing. They also handle other channels of marketing as well. As we continue to grow, we have recognized that we have to increase each person’s focus. It looks like you do not have any sales staff. Did you decide to focus on marketing over sales? Not necessarily. We never really focused on building a marketing or sales department in the same way other companies would do. Our focus has been growing based on warm leads and our network for the first few years. We are now just getting to the point where we are putting resources into paid marketing. We are a bootstrap company, and we have focused on building a great product that people would love and use. Personally, my focus in the company is in sales and marketing. That includes demos and calls with the larger clients. If it looks like a prospect is going to spend $1,000 or more per month with us, it needs a more of a human touch. Working directly with me gives the prospect more comfort about the company, how we work and the customer service experience. I am also involved in the marketing we do with Facebook, Bing, AdRoll and other platforms. Sendlane has a three-minute customer service guarantee with US-based support. How does that contribute to the company’s success? Yes, I built a customer support team here in San Diego with a three minute response time 24 hours a day. A few years ago, I read “Delivering Happiness” by Tony Hsieh. He talked about the importance of customer service in building Zappos. I have also spent time and money on customer service because a happy paying customer will continue to pay you over and over again. Where do you go online to stay up-to-date on SaaS marketing, connect with other people in the industry? There are some Facebook Groups like SaaS Growth Hacks (https://www.facebook.com/groups/SaaSgrowthhacking/). My number one resource to better understand my company’s performance is a tool called ProfitWell. I use it to check what our churn rates are, what our ARPU (average revenue per user), LTV (customer lifetime value) as well as other measures. 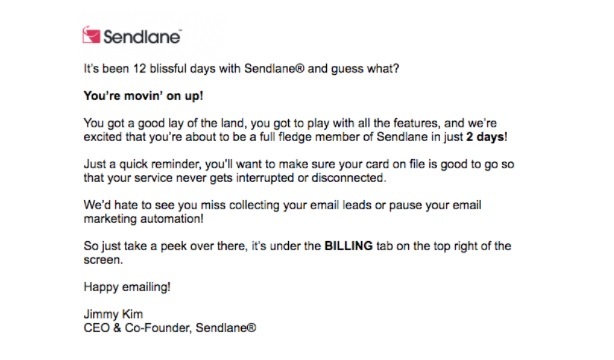 For more information on Sendlane, go to Sendlane.com. Miss one follow-up and your deal may go up in smoke. How can sales professionals stay on top of their opportunities? How can they track their efforts and find out where to improve? Enter Flight Plans from Cirrus Insight. Best known as the first product to integrate Gmail with Salesforce.com, Cirrus Insight has brought automation capabilities to the sales force. Brandon Bruce, Co-Founder of Cirrus Insight, shared his marketing lessons learned in growing the company and launching a new product. 1) What is the Flight Plans product and how does it help customers? It’s like a travel itinerary for salespeople and sales teams. For years, it’s been popular to talk about the customer journey. Flight Plans is our way of organizing each step of the journey. 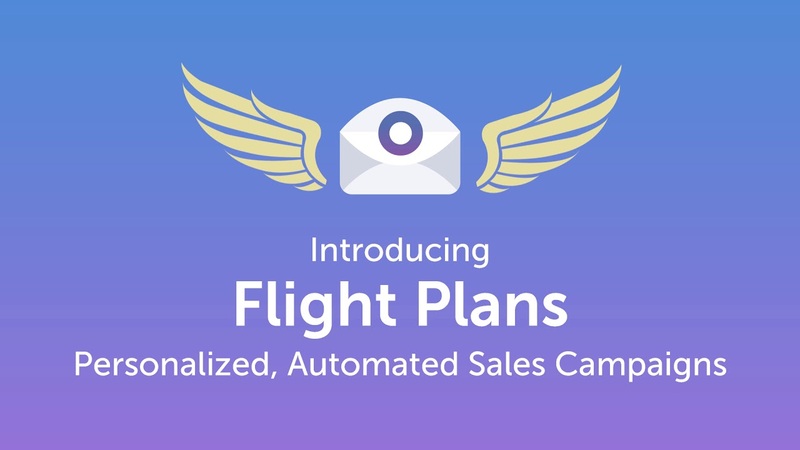 Flight Plans takes marketing automation, adds more personalization and control, and brings it to the sales team. Cirrus Insight’s Flight Plans continues to send out customized emails according to your sales playbook until you see a response. If there’s a reply, great – you engage in that conversation. If there is no reply, there is a follow-up message ready to go, or a call script for a phone call, or a social step like reaching out on LinkedIn. Unlike purely email-focused products, Flight Plans also brings in phone and social follow-up. Ultimately, we are making sure sales people never let opportunities fall through the cracks. For the individual sales professional with a steady volume of prospects and opportunities, Flight Plans enables you to keep track of your progress in each relationship. From a sales manager’s standpoint, the product helps the team and the organization track activities and align them with target outcomes. We also have teams of users in customer support, account management, and related customer-facing fields like customer success. Instead of focusing exclusively on traditional metrics, like email opens, number of calls, and emails sent, Flight Plans focuses on the outcome. We want to track the sales results that matter like the number of people who schedule a call, attend a demo, start a trial, or make a purchase. Once you understand what activities are working, you can focus on those activities. 2) How did you acquire the first 100 paying customers for Flight Plans product? We had an existing customer base from the core Cirrus Insight product which was the first application to connect Gmail with Salesforce. In serving those customers, we saw high customer demand for a sales enablement solution that was a force-multiplier for sales teams. We started getting more and more demand from non-marketing groups – specifically sales, account management, and customer success seeking the automation and systems that marketing departments have had for a decade. These non-marketing departments wanted to control the cadence and the content of their messaging. We’ve found that marketing emails tend to be designed and focus on company-level messages. In contrast, sales emails tend to be shorter, be in plain text, and be highly personalized to the recipient. Plus, by sending the emails from the salesperson’s own email address (rather than through a third party server like marketing automation platforms), the deliverability rate is much higher. 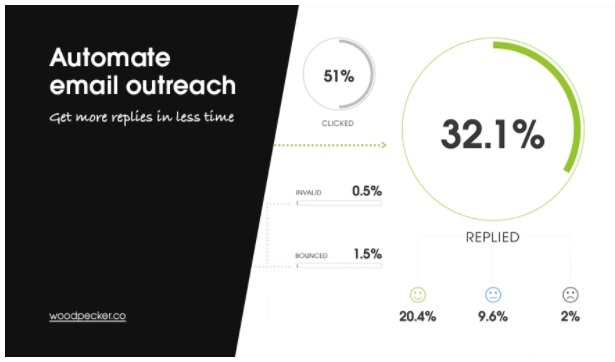 Consequently, engagement rates (replies, forwards, hyperlink clicks) are much higher as well. 3) Cirrus Insight has an extensive resource library (e.g., ebooks, case studies, infographics). Which type of marketing asset are you focused on publishing more of this year and why? This year, we are getting more into podcasts – we enjoy telling our story and learning from hosts and other guests. So far, We’ve also been guests on dozens of podcasts that focus on sales and entrepreneurship. Last year, we also launched our own podcast with about 50 episodes. This year, we’re also focusing on influencer marketing: connecting with people who can spread the word about Cirrus Insight to folks who make a living in their inbox and calendars where we can save time and add value. We love sales (the money, obviously, and the hustle). But we also hate sales (awkward cold calls, pushy tactics). Join us (Kenneth Herring, James Buckley and special guests) for each episode as we talk about one thing we love and one thing we hate about sales. 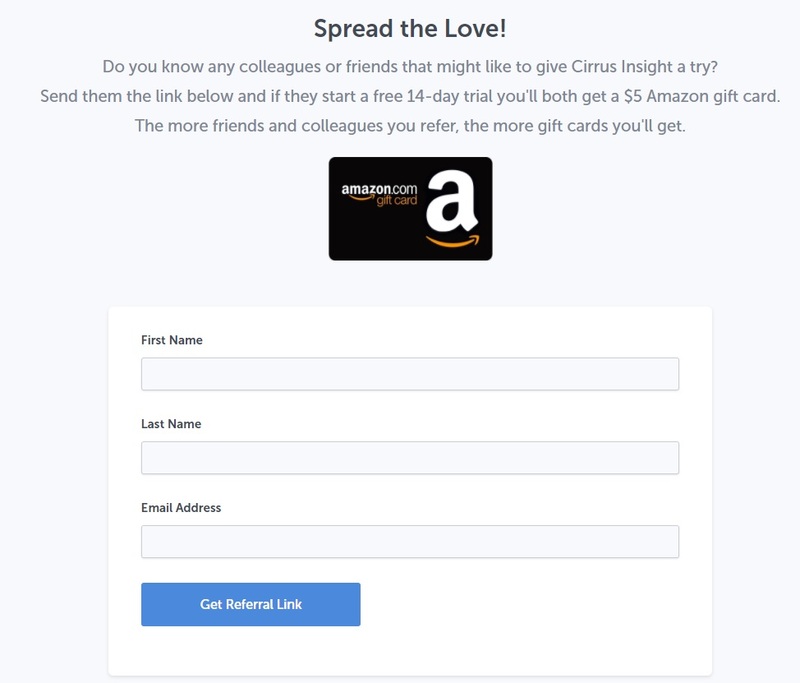 4) At the time of this interview, the homepage has a referral offer: “Refer your colleagues and friends and earn a $5 Amazon gift card!” Can you share details about the results of this campaign? Over the years, we have tried a variety of different referral campaigns. We have had successful “point in time” referral campaigns with Amazon gift cards and Starbucks customers. Our goal is to get that flywheel going with that referral. So far, we’re happy with the return on investment with this campaign. We’ve sent out many thousands of Starbucks and Amazon gift cards. Through this process, we’ve observed that referrals exist on a spectrum. The best referral is a direct recommendation from a customer who understands the product to a prospect (in-person is best followed by phone and email). In the middle of the spectrum, we send out personalized messages from our company with something valuable (a useful piece of content or invitation to an event) along with a coupon code. And then you have people sharing our offer to get Amazon and Starbucks codes. Many of these referrals are to friends and colleagues which are top tier referrals while others are sharing out to the wide world – casting a wide net that helps boost brand awareness and drive demos and trial starts. We want the whole spectrum of referrals – each type has value. 5) What role did the Salesforce AppExchange play in your marketing? Cirrus Insight was the first application to integrate Gmail with Salesforce in 2011. We’ve had a very positive symbiotic relationship with Salesforce from our early days on the Salesforce AppExchange to direct referrals from Account Executives and Account Managers. . More recently, we’ve also expanded beyond the Salesforce platform. Cirrus Insight is now available to anybody who uses Gmail and wants email open tracking, personalized templates, Flight Plans drip campaigns, our meeting scheduler (my favorite feature), and follow-up reminders..
6) What marketing metrics are most helpful to marketing Cirrus Insight? The top two most important metrics for us are the number of free trials and demos. In the past, we had a 30-day trial. We found that most purchases happened in the first two weeks of the trial. If they tried the product and liked it, they would purchase, so we switched to a focused 14-day trial a few years ago which has been good for us and our customers. 7) What online publications and communities do you regularly visit for insights on the SaaS industry? I read anything and everything by Seth Godin. I also follow Jason Lemkin; he is a leading authority on building SaaS companies and runs the SaaStr website and conference. Most importantly, in-person conversations with other SaaS founders are always the most helpful.. Content curation is a fascinating way to succeed in content marketing. It’s a way to show gratitude to authors and thought leaders. It’s also a way to network within your community. Sometimes, you might even grow your business with it. 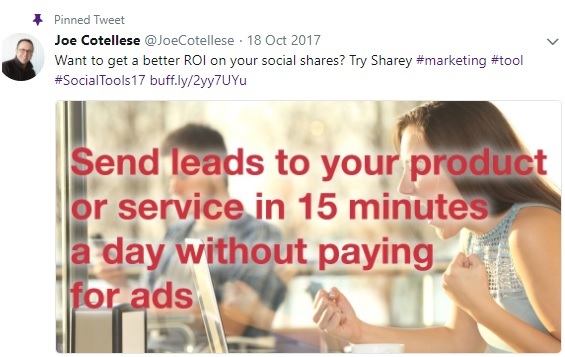 Founded by Joe Cotellese, Sharey is a content marketing product that transforms content curation into a marketing channel. It’s a great way to leverage the content other people create to grow your business. Find out why Joe created the product and how it can help your business grow fasters. 1) Why did you decide to start Sharey? When I was working in the email marketing space, I was thinking about how to traffic to my personal site – my product management blog. I considered the traditional content marketing approach because it does work. However, you have to constantly feed the beast. At the same time, I was regularly sharing content others created. I started to think “is there a way that I can leverage content that I’m sharing with others?” I built a prototype of Sharey and it worked surprisingly well. It will take content that I’ve shared on Twitter and it will add a call to action to my website. First, I used it to send content back to my website. The original content authors got social shares and I got traffic back to my website. 2) Why is content curation valuable? Content curation eases the burden of constantly creating your own content. There’s also a social benefit to sharing other content created by others. By regularly sharing, it demonstrates that you are connected with leaders in your space. I was already sharing product leadership. It helps to boost my credibility as somebody worth paying attention to. 3) What are some of the common mistakes people make when they get started with content curation? There are a lot of examples of people doing content curation poorly. I often see people blindly share articles on social media without adding any value. In contrast, when people do content curation well, it’s obvious that they read the content. I will generally cite a specific point from the content in my curation. You need to do more than share the title and the URL of the content. This distinction is apparent in the metrics. I see the highest engagement on content when I pulled ideas and snippets out of the article. 4) How does the Sharey blog fit into your marketing? It took me a while to figure my content strategy. Today, my approach is looking at different marketing tools. I’m also on the lookout for new tools that can help me get my work done more efficiently. Writing about these other tools gives me an opportunity to connect with other startup CEOs. If I tweet about the tool, they are likely to pick up on the tweet and share it as well. Fundamentally, this approach works for me because I’m passionate about new marketing products. 5) What kinds of calls to action perform well in Sharey? Sharey lets you customize your call to action that is added to content you share. At one point, I had written a job interview checklist for product managers. My call to action would be: download the checklist. For marketing Sharey, the call to action is “try it now” and variations on that theme. 6) How do approach converting free users to paid users? People are going to convert when they’ve seen value in the product. I want them to see value in the first week. If that occurs, they will likely sign up for the paid version faster. Ideally, you want them to see value as soon as possible because the user’s enthusiasm level tends to be highest at the beginning. 7) What marketing methods are most effective in driving sign ups for Sharey? The biggest source of customer acquisition is using my own product personally. I curate content around digital marketing, social media marketing and related strategies. I’ve gotten customers through that approach. Doing the podcast circuit has been a good way to get customers. [Editor’s Note: I first heard about Joe through his interview on the Growth Toolbox podcast: Growth Marketing Toolbox 106: Email Outreach and Content Marketing Tools]. All of my customer acquisition is earned right now. 8) Aside from Sharey, what are some of your favorite marketing tools? Buffer is an essential tool. I leverage Buffer to queue up my shares. It is a good complementary service. I use Hunter.io and Clearbit in in my cold emailing outreach. Paul Graham talks about doing things that don’t scale. Customer acquisition by email is tough. The main reason I use cold email is to get on marketing podcasts. I have a specific strategy on how to get in front of podcasts. I use MixMax to schedule calls and appointments – I like how it ties in well with Gmail. I use Crisp as my chat platform. I use Full Story – a qualitative analytics (it does screen captures of user interactions). 9) What are your favorite marketing books? 10) Where do you go online for news and information about SaaS and marketing? There are multiple private Facebook groups (https://www.facebook.com/groups/SaaSgrowthhacking/ and https://www.facebook.com/groups/startupproductlaunches/) I’m in that relate to SaaS products. I like the Indie Hackers website. I also like “ForEntrepreneurs.com” which is created by a VC investor. 11) For readers who want to get in touch with you, where should they go online? You can follow me on Twitter. For more information on Sharey, go to the Sharey website. ClickFunnels is one of the most popular marketing platforms on the market. How did it grow from scratch in 2014 to become $70+ million company by 2018? The company relies on a few strategies to attract and retain customers but there’s no VCs picking up the tab here. the company’s blog and podcast marketing strategies. Thanks to Dave Woodward, chief business development officer at ClickFunnels, for generously sharing his insights in this interview. I can’t wait to read “Dot Com Secrets” and “Expert Secrets” later this month. 1) How does ClickFunnels help its customers? ClickFunnels is a marketing platform that helps companies generate leads and convert customers through a series of steps. We have helped a wide variety of customers achieve marketing success. Over 250 companies have generated over $1 million in revenue using our platform. One customer has used ClickFunnels to promote his Big Foot tourism service. We have another company that uses ClickFunnels to generate leads for a franchise company. Ecommerce companies have used the platform to sell more products. Note: Like other sales and marketing SaaS companies, ClickFunnels has a consultant program of marketers who can help you with implementing the product in your business. 2) What is your role in the company? 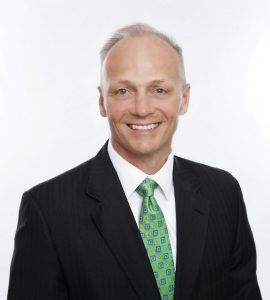 I am a partner in the company with a focus on business development. In addition, I run the FunnelHacker Radio podcast at the company. Arranging integrations with other companies has been a focus for me lately. 3) How does ClickFunnels grow through integrations with other SaaS products? ClickFunnels has integrations with multiple other software products. For example, we have an integration with Go To Webinar so customers can easily use webinars as part of their marketing process. We also have an integration with Shopify – a great option for companies who want a direct relationship with their customers. That direct customer connection isn’t available if you sell via the Amazon platform. Other integrations include Salesforce, Zapier, dropshipping and payment processors like Stripe. Overall, we operate as the front end for many different tools. We also have a white label relationship with SendGrid for email. Software integrations are important to our growth because it increases customer stickiness. When a customer can do webinars, CRM and payments through integrations, they are more likely to stay. Integrations help us to provide more value to customers without having to build out those features. 4) The company’s founder has published two books: Dot Com Secrets and Expert Secrets. How have these books contributed to the company’s success? Books have tremendous value because authors put years of experience and research into a book. In our marketing, we have used several free plus shipping offers. Through that approach, we have given away over 100,000 copies of each of the books. In turn, a percentage of the book recipients become customers for ClickFunnels. In 2017, we launched “Expert Secrets” in April/May 2017. We ended up giving away 35,000 copies of the books in a few weeks. A lot of our current customers have become raving fans. Part of that success is due to our founder, Russell Brunson. His personality and style resonates with a lot of people. We come from the direct response marketing world and that background has informed our approach. For example, in promoting the books, we had a contest with awards for affiliates who helped to promote the book. Generally speaking, we are finding that it costs around $120-$130 cost to acquire a customer. In terms of the dollars and cents, our approach is to break even on the book funnels. After the person picks up the book, there are additional offers however. As a result, we often make $30 or more on the offer where the cost to give away the book is around $22 per copy. 5) What is your approach to the ClickFunnels blog? Our blog marketing approach has evolved over time. In the past, we had a couple of strong writers internally. In 2018, we have established an “internal agency” For more information on the creation of the internal agency, take a look at Russell’s YouTube video – Returning And Reporting Back On Week One Of Our New Agency. Thematically, we have two core themes. First, we want to give hope to business owners that they can succeed. Second, we want readers to come away with practical ideas and ways to grow their business. A few of our most popular blog posts include The Ultimate Marketer’s Blueprint To Funnel Hacking [A to Z] and Hacks to Becoming The Fastest Funnel Builder in the World. 6) How do you find guests for the podcast Funnel Hacker Radio? Our guest selection tends to fall into two categories. A lot of the people I’m interviewing are from the two comma club success stories – customers who have generated millions of dollars in revenue. These interviews provide hope as well as tips, tricks and tools to help other people to achieve success. When looking for guests, I am looking for a few qualities. First, is the person successful? Second, does the interviewee have a roadmap that they can share with the audience? Finally, does the guest have some other practical value they can share? For example, I sometimes interview an integration partner (e.g. How Zapier and ClickFunnels Make You More Productive) so they can explain how to grow using that partner’s service. In addition to guests, I’m starting to add in my own words of wisdom through my travels. For example, I’m planning episodes with some of my learnings from attending conferences and the relationships at Traffic & Conversion and Social Media Marketing World. 7) What is a content marketing technique or strategy that the company has stopped using in the past year? Today, we have focused on three primary channels: Facebook, Youtube and Instagram are the top channels. We have moved away from attempting to do all of our marketing ourselves. To achieve that, we have built an “internal agency” which has eight people. The team includes a project manager, copywriters, graphic artists, funnel builders, traffic specialists and social media experts on the team. Russell generates the ideas and gets things started. Everyone else jumps in to focus on their specialty. On the stop doing list, there are a few items. We stopped using Snapchat and Periscope. We also paused producing the “Drop The Mic” show. 8) What marketing metrics do you consider most helpful to track in the business? present, we have six break even funnels that relate to our front end offers including the books. It is important periodically to change the advertising approach. You get ad fatigue so we need to continue trying to use different ad creative. 9) What websites, communities and other places do you use to stay informed on industry news? For websites, there are a few that stand out for me. I frequently check TechCrunch, MarTech Today, and SaaStr. My favorite podcasts include Andrew Warner’s Mixergy and the Nathan Latka’s The Top Podcast. 10) Where should readers go to learn more about you and the company? Clickfunnels.com is the best place to go to learn about the company. To find out more about the books and see our funnels in action, visit DotComSecrets and ExpertSecrets.